For a while, rumors were circulating that Microsoft was working on McLaren -- a successor to the Lumia 1020 with a giant camera and "3D touch" gestures. It was supposedly cancelled, but a listing for a prototype on Chinese auction site Taobao suggests that the device (or something like it) was close to completion. 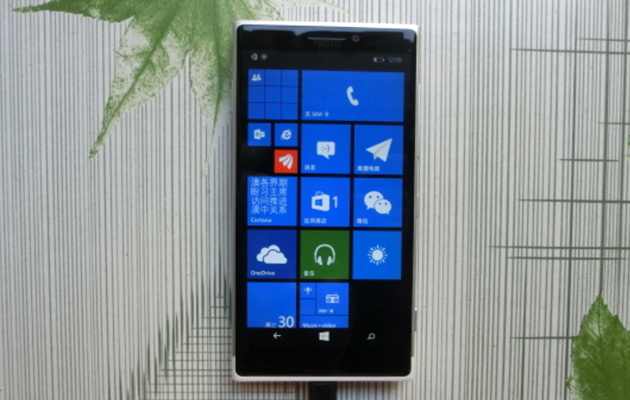 Known only by its internal RM-1052 name, the Windows Phone has a 1020-like camera hump and similar styling cues, but it's made mostly of aluminum. There's only a hint of plastic at the bottom that's presumably meant to improve wireless reception. The mystery phone appears to have superior performance, too, since a software shot points to a 1080p screen instead of the older phone's 720p panel. While the image is bound to whet the appetite of mobile photography fans, it's not absolutely certain that this is McLaren. The camera doesn't appear to have a mechanical shutter, and it looks like there's a conventional LED flash instead of xenon; either Microsoft was planning to scale back the optical technology on McLaren, or this is another device entirely. If it's the latter, there's still a chance that this represents a future product, rather than a vision of a Lumia that might have been.